Allergies can cause misery for pets and humans alike. But allergies in animals are not always easy to diagnose and treat. "I feel so bad because he can't tell me what's wrong," said Angela Duyao of Gilroy, 80 miles south of San Francisco. Harley, her 2-year-old Shih Tzu, has food and seasonal allergies. It took Duyao, an administrative assistant, 18 months and over $1,000 to find out Harley was allergic to poultry and pollen. All dogs and cats can get allergies, and the most common reaction is scratching, said veterinarian Donna Spector, an internal medicine specialist based in Deerfield, Ill.
"Allergies are a real headbanger. 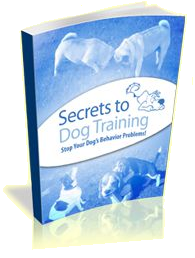 They are frustrating for vets, they're frustrating for clients and the dogs and cats itch like crazy so we know it is frustrating for them. Allergies are very challenging to diagnose accurately because it's a diagnosis of exclusion. It takes a lot of money and a lot of time. It takes a very dedicated owner," she said. There are four kinds of pet allergies: airborne (tree, grass and weed pollen; mold, mildew and dust mites), fleas, food and contact (like carpeting or detergent). 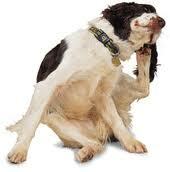 The most common pet allergy comes from fleas. People and pets can cause each other problems: People can be allergic to pet hair or dander and pets can be allergic to products humans use. Most pet allergies cause scratching. Some other symptoms include discoloration of hair between toes, rashes, open sores, watery eyes, ear infections, runny noses, vomiting and diarrhea, said Spector, a frequent guest on "The Ellen DeGeneres Show." She is a consultant to the pet food company co-owned by DeGeneres called Halo, Purely For Pets. Spunky, an 8-year-old husky mix owned by pet sitter and photographer Ashley Niels, didn't have problems until his family moved to Austin, Texas. In Texas, he licked himself raw, forming a hot spot on his back, Niels said. The vet put Spunky on antibiotics and gave him a steroid shot. "We didn't have the money to do allergy testing, so we tried diet trials," she said. But it wasn't food. It was cedar dust and grasses. "The poor dog lived in a cone for six months," Niels said. Between the cone, a daily dose of anti-itch medicine and spray salmon in his food, Spunky's allergies became manageable. (Cooked salmon may relieve itching and skin conditions in animals.) He is now off the cone, medicine and steroids. Niels worries Spunky's allergies will flare up in the coming weeks, but she is ready with the cone if he needs it. Among the three dogs, six cats, four rats and two ferrets in the Niels household, there is an 8-year-old cat named Zane who used to throw up every day. Through trial and error, Niels found out he was allergic to poultry. Zane's diet doesn't have much variety these days, but he's stopped vomiting, Niels said. 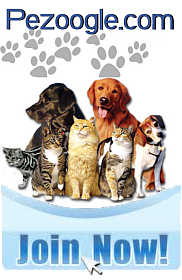 Most pet owners will try to help their pets with allergies, Spector said. "The signs are so annoying and so significant, it rarely goes untreated. The scratching drives owners crazy." Beyond money, it takes time. If a pet is hurting, the owner wants a quick fix and it can take months, going on years, to find the answer. Flea allergies pose unique problems. "One flea can jump on a dog, bite it and keep it symptomatic for seven days," Spector said. Carol Meir of Takoma Park, Md., spent 18 months experimenting with diet to cure digestive problems in her 4-year-old hairless cat Moshe Moshi. Meir changed flavors and brands of cat food, cooked for him and took him to animal nutritionists. The conclusion: Moshe Moshi was allergic to poultry and wheat. "It was easy to eliminate wheat from his diet, but it's really hard to eliminate poultry. You'd be surprised how many products have egg as an emulsifier," she said. Meir is managing the cream point sphynx's allergies with a venison and pork diet and daily medication. She figures it cost her about $750 for vets and tests. Medicine is $250 a year. "He is worth it. He is the sweetest cat," she said. Meir was recently diagnosed with a dust mite allergy herself and all three of her cats will benefit, she said. She's replacing everything from beds (hers and theirs) to carpets and having all air ducts cleaned. Duyao has always tried to do right by Harley too. He's got his own stroller and spends three days a week at doggy day care. She spent what it took to identify his allergies. But a medicine mistake cost her $1,000 and nearly cost Harley his life. Harley was taking over-the-counter children's allergy medicine on the recommendation of a vet. Duyao ran out one day so she cut up an adult pill. "He reacted to something in it. It was very scary. He was jittery, his head was bobbing back and forth, his eyes were watery, he was salivating bad, his little heart was beating so fast," she said. She got him to the vet where they put him on a charcoal IV to clear the poison. When she picked him up from the vet's the next day, he was fine. "But it was a good lesson," she said.